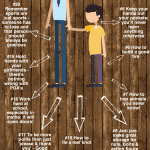 Getting Your Child into Football – Should You Force Them to Support Your Team? It seems so irrelevant really, but before she was born, I distinctly remember thinking about which football team my daughter would support. Back in the pre-kids days, when I still had time to dedicate to things like thinking and drinking my tea whilst it was hot, I couldn’t wait to step out onto the terraces with her. I imagine I’m not the only parent who thought like this. Obviously the first step is to persuade them that a Saturday afternoon spent in the cold, with the whiff of Bovril in your nostrils and the constant spectre of abject disappointment hanging over you is a good use of time. But if you don’t mind that challenge and if you are still planning on getting your child into football, should you force them to support your team? I was born in Scunthorpe in North Lincolnshire and have supported Scunthorpe United for the past 35 years. I have turned up through thin and thin (that’s not a typo, by the way), and continue to subject mysef to the mighty Iron on a regular basis. Of course, my preference would be that 5-year-old Elsa and her nearly 2-year-old brother Seth would see their football future at Glanford Park, but it’s not quite as easy at that. We now live 75 miles away in West Yorkshire, where they were both born. Our house is situated much more conveniently for them to pop to Valley Parade in Bradford or Leeds United’s Elland Road. With that in mind, for the next ten or so years whilst I am in charge of the destination if they require a football fix, would I be doing the right thing in packing them up and shipping them an hour and a half away to Scunny? The advantages of making the kids support my team are fairly obvious. The fact I get to continue to be able to watch my team being the primary one. A lot of people ask me who “my Premier League team” is and I can honestly say I don’t have one. I couldn’t tell you who half the players that feature on Match of the Day are and I only pay fleeting attention to who is top of the league. I can talk more knowledgeably about Fleetwood Town’s substitutes than I could about Manchester City’s first team because all I’m interested in is League 1. Until we are promoted, obviously. When I was a teenager, we moved down south and I did watch Ipswich Town occasionally, but I was more an interested observer than fan. I couldn’t even consider supporting anyone other than Scunthorpe United, which is a harrowing thought. If I’m going to watch a game, selfish me wants it to always be a Scunthorpe United match. In addition, taking the kids over to Scunthorpe every other weekend is a great opportunity to see my parents who still live over that way. It would allow my mum time with my youngest until he is old enough to go to the game and lets his sister and me spend time in the stands with my dad. In terms of what the kids would get out of supporting my team – well – certainly not consistent glory, that’s for sure. But I do like the fact that you never know what you’re going to get from one season to the next. Promotion and relegation seasons are always a possibility and are both gripping in their own ways. Compared with supporting a club like Everton, for example, where you’re fairly sure you’re going to end up in mid-table again, it seems a lot more exciting yo-yoing through the divisions. *Cue angry tweets from livid Toffees*. The disadvantages of my kids supporting Scunthorpe United are less about the lack of trophies that they will be able to celebrate and more about their footballing future. There will come a time when, if they’re still into the game, they’ll probably prefer to go with their friends than their old man. The chances of them finding another exiled Iron fan over this way to car share with are unlikely, but plenty of kids in our village head off to Bradford and Leeds of a Saturday. I don’t want them to miss out on these adventures with their mates, even if it means ploughing a few quid into a rival’s coffers for some replica tat at Christmases and birthdays. That said, I quite enjoyed the fact that I was the only Scunthorpe United fan in my Essex secondary school. I liked being different. Almost exotic. And that is the first and only time you will ever see supporting Scunthorpe United being described as ‘exotic’. I think I’ll push forward with the Scunny brainwashing. I can’t see myself taking them to either of the local sides just on the off-chance that they’ll pledge allegiance to one of them in the future. I’ve already started with Elsa anyway. I’ve not forced my love of football onto Elsa, but she found it herself. I have the CBeebies show Footy Pups to thank in part. She watched that and made the connection between it and my visits to Glanford Park, and then demanded to come with me. Unfortunately, she chose a season that began in a less than majestic manner. In fact, the Iron were on a dire run of six defeats in a row when we arrived for the Oxford United game. Still, it seemed like a good way to manage her expectations. Anything even slightly less rubbish in the future would be a bonus. I wasn’t convinced that Elsa was entirely committed to watching football, and that was confirmed when she spent much of the opening exchanges gawping at the crowd rather than the game. Despite the lack of three points, could there be a more exciting way to introduce your child to live football? Three-all from three-nil down is unheard of, and I’ve tried to tell her that, but she is raring to go again in the future. Hands and feet inside the car, sweetheart, you’re in for a bumpy ride! Have you tried getting your child into football? Do they support your team? Let me know in the comments. I had a similar situation. I’m a bradford fan and now live near Huddersfield, my eldest got into football and I started taking him to valley parade. My youngest has followed suit and it’s become a great bonding thing between us and gives my wife much deserved me time. And could you really take your kids to watch another team every week? Feel your pain Jim. Trying to persuade my 4 year old that supporting Peterborough is worth the pain, especially as we live two hours away (in fact, not far from Wycombe’s ground). It is always good to hear from fellow dads who want their kids to get into sport and teams. That’s the reason, I started my business. I follow Hull City. We’ve had our time in the Premiership, but it was not without angst. Good luck with your business (less good luck for your team from t’other side of the bridge). Jim, thank you ever so for you post.Much thanks again.